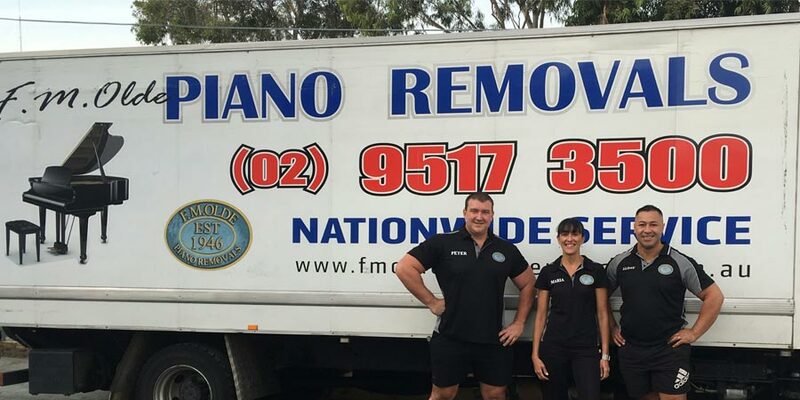 About F.M.Olde Piano Removals Meet The Team! Welcome to F.M Olde. 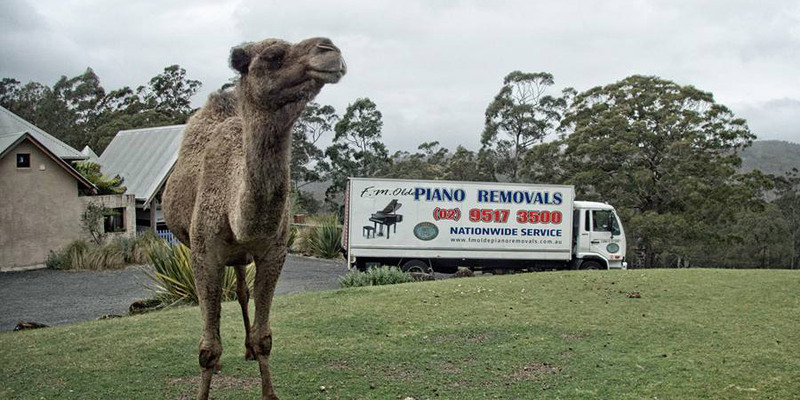 First established in 1947, we are the most trusted and established piano moving company in Sydney and indeed Australia! At F.M Olde we move and store nothing but pianos! Moving 8-12 pianos a day and storing over 150 uprights and grands. Don't make the mistake many do in hiring furniture removalists or general couriers posing as piano movers. With a little digging you will find they are not true piano movers. They can damage your piano, home and floors. Often we have to finish incomplete jobs from these "piano removalists" who leave pianos in hallways and garages for the real experts to finish! Check out our YouTube video demonstrating how we move pianos! 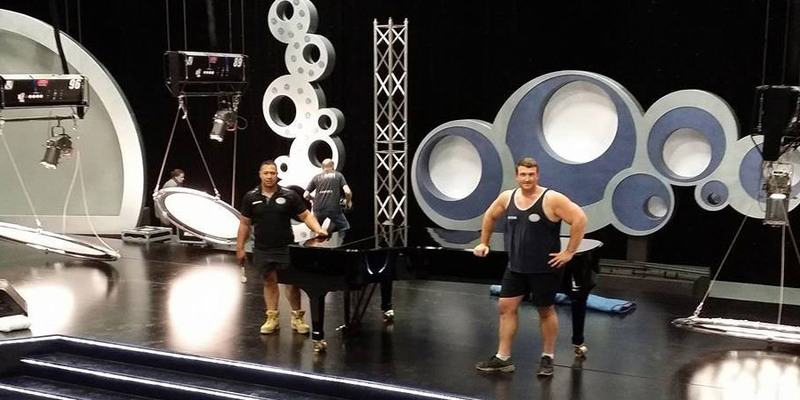 "I just wanted to say a huge thank you to the amazing removalists who assisted in moving my piano this morning. They had to negotiate a very tricky stairwell and I am sure this would have defeated most removalists! They were sensational in moving the piano with not a scratch to be seen." "We were so impressed by the professionalism of the two men who came to collect the piano. In and out in a very short time, no fuss, no bother just great friendly service." "Just want to say thank you very much. You guys were great to deal with. All parts went very well and the guys were super respectful and you were very organised and clear!" 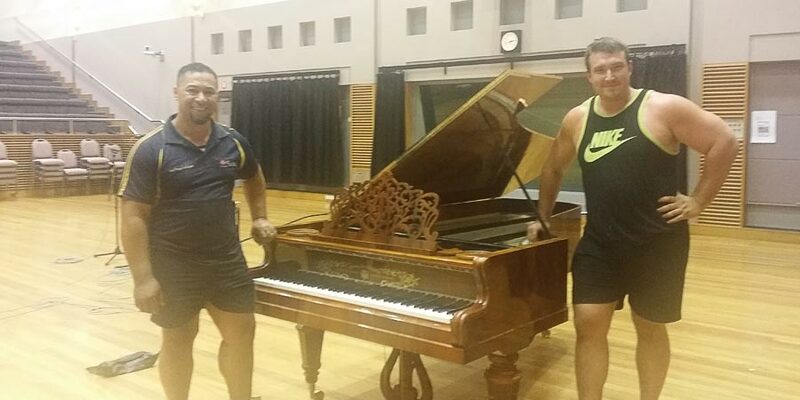 "Many thanks to FM OLDE and the delivery boys who delivered our piano yesterday. It was done with a minimum of fuss and in quick time. The guys do a great job." "Very impressed with their professionalism and how easy they made it look to move! Big thanks to you and your team for a fuss free experience." "Four words: calm efficient magic teamwork. Young blokes Peter and Joe follow in the best tradition of piano removalists, my Richard Lipp extended end 300kg piano presented no problem. The quiet commands to each other, the minute adjustments, you had to have respect. Maria is also an asset to the team, with her cheery manner and good organisational skills. I've been hiring and recommending only FM Olde for piano removing since 1972 and will continue to!" "Just to let you know our piano has been uplifted and relocated: all completely according to your plan and all done professionally, punctually, pleasantly and perfectly. Many thanks to The Team for such excellent service. We would certainly recommend you! " "Thank you Maria, I cannot commend enough the hard work and expertise displayed today in moving this piano. A courteous and most helpful pair of skilled experts. Very much appreciated. " "Thank you for you fine service to move my piano. The men were efficient, polite and understanding. I greatly appreciated their patience as they waited for the property to be opened. Please thank them both for me. " "I wanted to email to say THANK YOU to the guys for safely delivering the baby grand piano to us. As I explained at the time of our booking it was the worst time to inherit a piano, our home is a construction site and the boys needed to navigate an awkward stair case to get the piano upstairs. They did so with no fuss or complaint, they showed care and respect not just for the piano but for our house (which looks like a bomb site so they really needn’t have been as careful as they were!) I know it wasn’t easy but they made it look effortless so I wanted to say a huge THANK YOU to you and your team We don’t plan to ever move the piano again, but if we know of anyone who needs a piano moved you’ll be our number 1 recommendation. " "The men were terrific yesterday moving the piano. They made it look as though they were driving a Mini and carrying a toy piano! 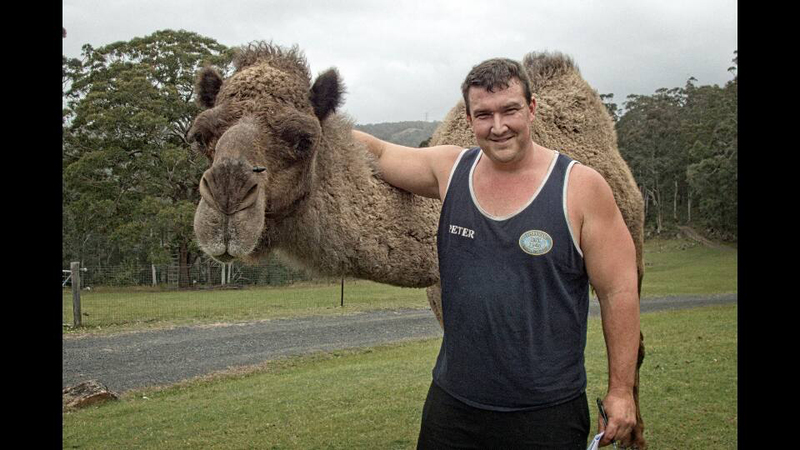 Incredible!! " "I wanted to let you know, that your two men, they were amazing. They were polite, helpful & professional and accommodating. " "Many, many thanks to the team for a professionally handled job in moving our 6-foot grand yesterday. The team was punctual, courteous, efficient and very careful. I will highly recommend your company to all my friends." "Thank you so much for a professional and punctual job. I will definitely recommend you to other people in the figure." 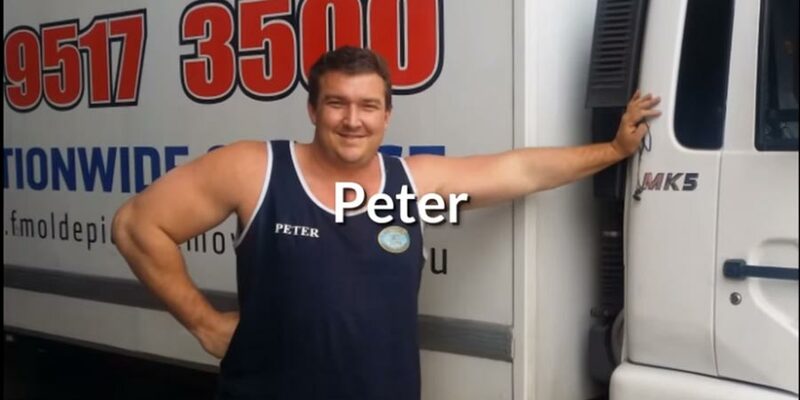 "Thanks to Peter and his mate for doing such a fine job on moving my precious Yamaha Grand!" "I just wanted to commend your men. They were informative as to when they were arriving, punctual and very professional. They moved the piano and sideboard with respect to them and my new floor. This may seem like a strange thing to say but these pieces are very important to me and I have others not show the same care. I will recommend your company to others. " "Peter and Joe were fantastic, please thank them again for their excellent work and professionalism, it is greatly appreciated. " "I just wanted to let you know that everything arrived in perfect condition today and that the guys were excellent. Thank you again for all of your help yesterday and for staying back to receive delivery. I really appreciate it. I’ll certainly be recommending your company to anyone I know who needs such a service in the future. " "I just wanted to express my appreciation for a job well done to Peter and Joseph as well as Maria. From the start of a phone call to the pick-up time it was a fantastic experience. On time and provided much care for our place to move an old upright piano down two flights of stairs. You guys are the most professional team I had the pleasure to experience. Keep up the great work and you will have no competition in this field. " "The piano move went smoothly. I just thought I would let you know that the guys were terrific." "Just a word of thanks to you and your team for making the removal of our piano to our new home possible. We are over the moon!" "Just wanted to say a quick thank you. My piano arrived today. The boys were polite, efficient and professional. I will definitely use you again should the need arise, and recommend you too. " "Just a note of thanks to say how much I appreciated your collective good service. The boys were very friendly and efficient and done in half an hour at most. If there is provision online to write "a satisfied customer report" I would be very happy to contribute. " "Thank you Maria...the guys were very professional and friendly and helpful- wish my house removalists were the same! " "I just wanted to say thanks so much for organising the piano removal to my place in Canterbury the other day; the guys were amazing, friendly - as usual! - and made it all happen quickly despite having tricky access. " "Thank you so much for booking in moving my piano at such short notice. 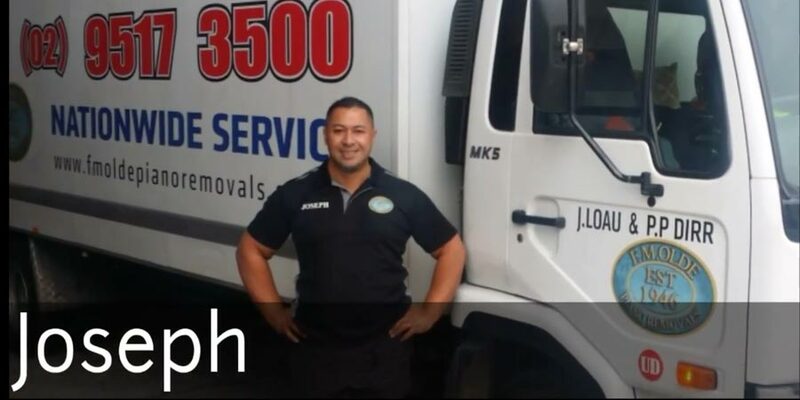 The movers were very professional and made what had been a very stressful situation easy. " "Just wanted to thank you for sorting out the booking. The removalists did a great job and the organ arrived in perfect condition!" "Many, many thanks for your assistance in helping with this move so quickly and professionally. Fantastic customer service, everything was great." "Just wanted to say a big thank you to you and your team for moving my piano this morning. The guys let me know when they were on their way and were lovely to deal with. I have moved this piano many times and your team today was by far the best I have dealt with, from communication with you at the start to the piano being moved. I shall definitely pass on your details to others and use your team again next time. " "The piano has been delivered! From start to finish your service has been incredible. I really appreciate your prompt communication and the delivery guys were also both gentlemen. " "Thanks for the service yesterday. Peter n his driver were great. I'll definite use you again if we ever move the piano out of the unit. " "Just a quick note to thank you and your men for the very prompt and professional service of the delivery of our piano yesterday." "The piano arrived and Neil and I as well as my sister in law were very impressed with the care taken by Peter and his mate. Please pass on our thanks and appreciation." "The boys were great! So efficient and friendly. They moved the piano through the house which was brilliant." "I wanted to thank you for the great job that the boys did with the delivery and installation. I will have no hesitation in recommending your company to anyone. " 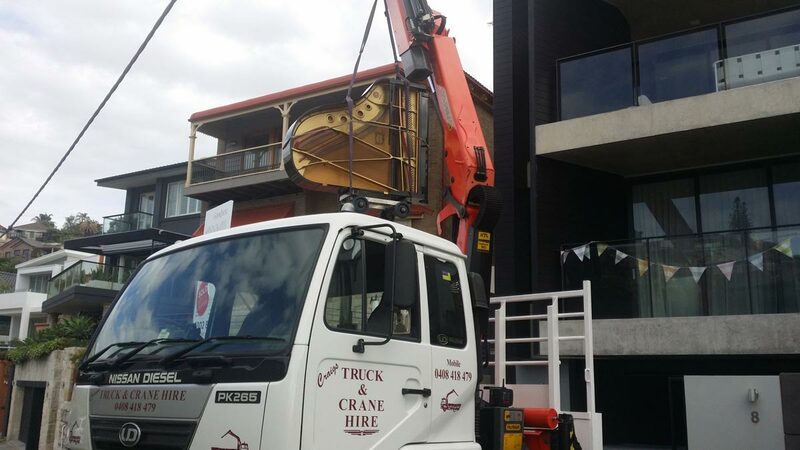 "Our piano was moved to Queenscliff last Thursday. The men did a great job. They were on time, efficient and made the whole process so easy and smooth. Thank You "
"The guys did such an excellent job this morning -- my daughter is over the moon to be reunited with her piano. Everything went exceptionally smoothly and the difficult access was overcome with such ingenuity and patience. Congratulations on a wonderful team. " "I just wanted to forward my sincere thank you for a job ‘well done’. Your staff (sorry I don’t know their names, but they were two very tall gentlemen) – were just terrific in their service. Also – we really appreciated the lead-up call with regards to updates and times. Many thanks for your excellent service. " "I would like to thank you and F.M. Olde team for the job done this morning. They were very punctual, fast, friendly and respectful. Good and efficient job done and an excellent customer service since my first phone call. Will use you guys for any piano jobs from now on. Thanks! " "Thank for the piano removal today. The guys were very professional and friendly. They did a good job." "Just let you know that your company provides a professional job and happy customer service. Definitely I will use it again in future and I will recommend it to my friends. Thank you." "I had my piano moved from my friend's place to my place. Your response to my initial enquiry was very prompt, got an appointment time within days. The piano was picked up and delivered on time. Excellent no nonsense service - no wonder you are in business for so long! Will highly recommend you to friends and family." "Thanks! Your lovely boys arrived at 6.15, which was great for us. They were happy, polite and professional. It was all too easy. " "Thank you so much for organising the removal of the piano from my Dad’s to my home. Everything went smoothly. Looking forward to opportunities to play it again." "I just wanted to say thank you to you and the team for delivering a great service with regards to the relocation of my piano." "Thank you so much for ensuring my piano was delivered safely and on time! The whole move was such a positive experience and I'm so grateful to you and your lovely team." "I would like to let you know what a wonderful job your men did this morning delivering the piano. We were pleasantly surprised at how quick and efficient they were despite the rain and the challenges presented." "Just wanted to say a warm thank you for the great customer service in organizing the delivery details over the phone and the smoothness of the move itself. I didn't get the names of the men who moved the piano for me, but please pass along my gratitude at a job well done. I was very impressed with their teamwork and happy with the prompt delivery. " "Thanks for the piano removal today. The guys did a good job." "My granddaughter came home from her part-time 'check out chick' job at the local IGA and was overjoyed to find the grand piano all set up ready to play in her own home. She was delighted and that made me very happy, too. Please pass on my gratitude to the two men from FM Olde who moved the piano for us. It was a tough job for them! But they remained courteous and good-humoured despite the hard work needed. Hats off to them! These men were a credit to your firm." "I just wanted to say that your boys that moved my piano this morning were just fantastic. I'd love to write a review on the Facebook page - you guys managed to do what Des Woods couldn't!!" "Just wanted to say thank you for the pick up and delivery of the piano. Please pass on my appreciation to the removal guys - they were professional, friendly and very efficient. " 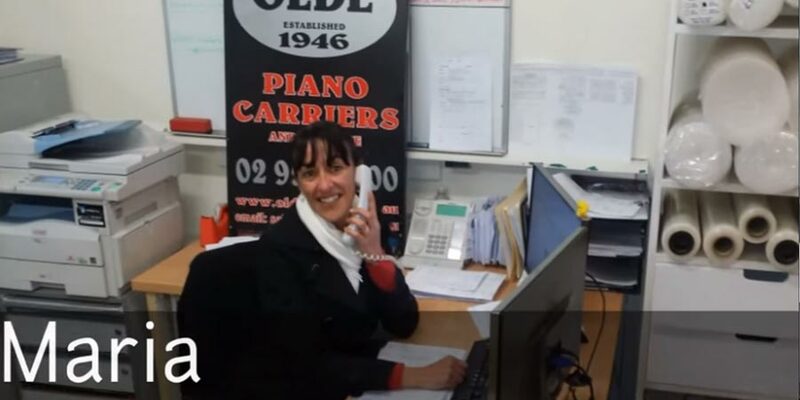 "Thank you for the excellent service I received in the moving of my piano! It is now happily in my new home, enjoying being played once more. "